The Jack’s Abby + Springdale brew crew just wrapped up it’s hop selection for the 2017 harvest. This consisted of two trips to Germany, one trip to Yakima Washington, and one in-house hop review with our team. Hops are an interesting agricultural product. I won’t bore you with the history, other than to point out that hops were cultivated hundreds of years ago and are still grown to present day, for the sole purpose of using as an additive to beer. This unique situation has the potential to wreak havoc on the hop market. Since there is no other market than brewing for hops, any year that there is one pound more harvested than needed, prices crash. And vice versa, when one pound less is harvested, prices skyrocket. As a result, prices in the hop market can fluctuate drastically from year to year. Hop selection has become important to Jack’s Abby for many reasons. The first obvious benefit is the ability to pick the best hops from our suppliers. More importantly, this process helps grow and maintain strong relationships with our farmers, processors, and vendors. There are many opinions on the purpose of hop selection. Some brewer’s main goal is to select hops that will best maintain consistency of their finished product. Some hope to select the most aromatic or unique hops available for new or changing beers. For a small brewer like Jack’s Abby and Springdale, the importance is in knowing where our raw materials come from and having direct knowledge of the growing conditions and quality of each harvest. This year was the first time the brewery made it to Germany for hop selection. The primary focus of this trip was a visit to Seitz Farm. The Seitz family, currently managed by Florian Seitz, has owned and grown hops on this farm for generations. 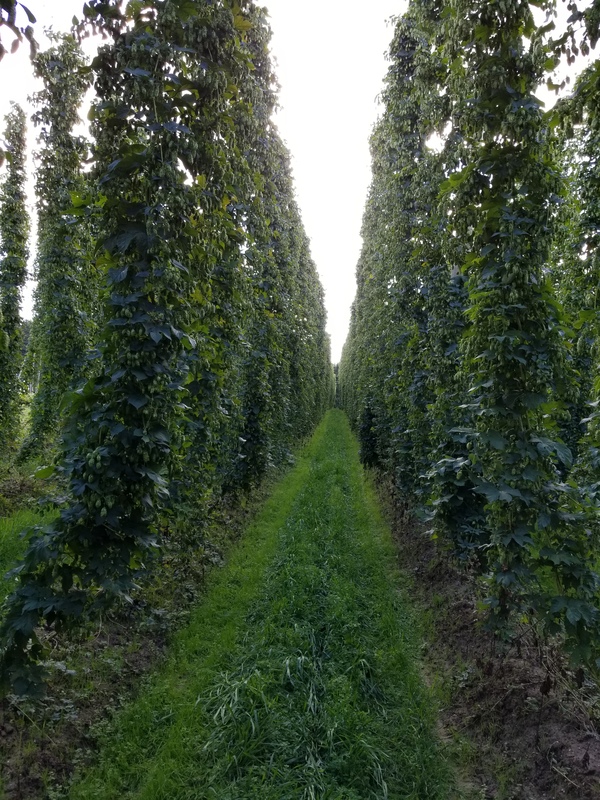 It was chance that brought Florian and Jack’s Abby together (a story for another day), and because of this connection we’ve been able to source hops directly from Florian. This direct relationship creates a special partnership that can benefit both the farmer and brewer. Hops are not just an additive to beer, but can be a source of inspiration. We first learned about a new German hop variety called ‘Blanc’ from Florian. The brewery loved this hop from the first trials we ran a few years ago, and we have continued developing lagers around it. Blanc balances a typical noble European hop character with a unique, fruity wine like aroma. In the end, the Hallertau Blanc aroma was the inspiration for creating the newest addition to our core line-up, Post Shift Pilsner.